THE UNIVERSE RE-ARRANGES ITSELF TO ACCOMMODATE YOUR PICTURE OF REALITY. THE QUESTION IS, WHICH REALITY DO YOU LIVE IN, OR THINK TO BE TRUE? 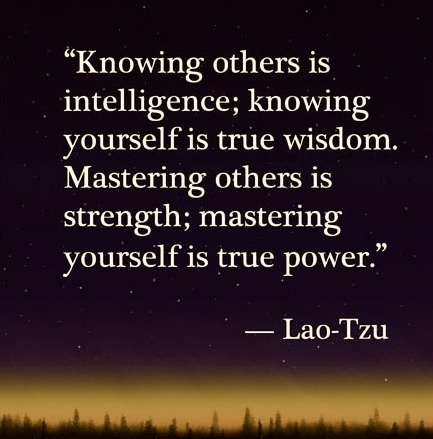 HOW WELL DO YOU THINK YOU KNOW YOUR TRUE SELF? Right after Buddha attained enlightenment, he was recognized by a someone who thought knew him before he underwent his spiritual transformation. Not sure if he was indeed the same person he once knew, the man looked at him quite perplexed and asked, ‘Who are you?’ to which Buddha answered, ‘I am AWAKE.’ The late B.K.S. 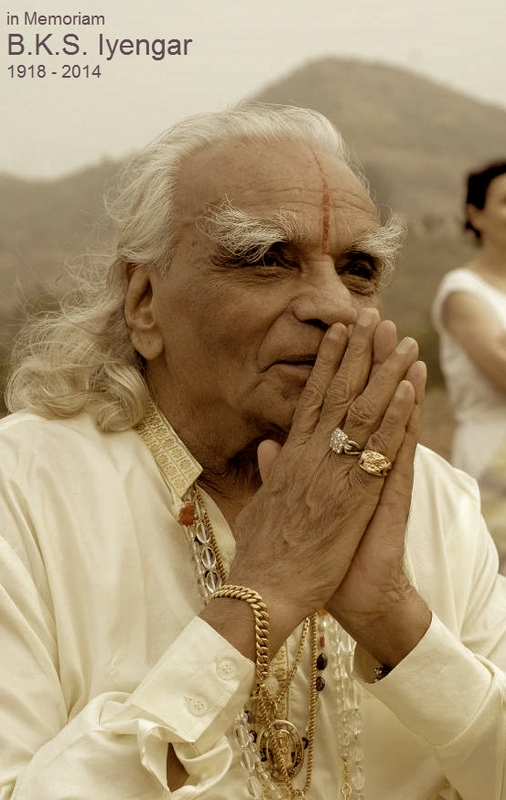 Iyengar, who inspired my yoga practice and that of million others around the globe said, ‘There is only one reality, but there are many ways that reality can be interpreted.’ Most of us live in a state of ignorant bliss. We are not only unaware of who we really are, but we are also unaware that we live in a world perpetuated by our own delusions. Buddhists call this delusional state maya, and the yogis refer to our ignorant state of existence as avidya. The moment we are adept enough to reason, we begin to manufacture a complex mental framework comprised of infinite perceptions and interpretations, based on our myopic, egocentric, and biased viewpoints and relationships. Unfortunately, we are born and cast into a pre-existing society and/or dogma which is held together by a rigid status quo infrastructure. Unbeknownst to us, we are automatically endoctrinated into a ‘mental culture’ that is already biased, afflicted, and divided by a an already corrupted worldview. These machinations of the mind, shaped by our culture, past, and society, blind us from recognizing the ultimate TRUTH, and seeing the true REALITY behind our biased opinions. It blinds us from seeing that who we think we are, is actually not who we really are at all. Therefore, it is safe to say that our thoughts are not entirely our own. In a sense, we are bi-products of the past and the present. But we can be the masters of a new present tense, and certainly of a future that is entirely of our own making. I recently took a one week Yoga Therapy & Mood Management training with Richard Brown, renowned psychologist, Qi Gong and yoga practitioner and author of ‘The Healing Power of Breath,’ and listened to him compare the mind or our psyche to a clean, pure white tablecloth that gets stained with false perceptions and psychological scars over the course of a lifetime. The tablecloth inevitably changes color completely, until there is not longer a speck of white remaining – just stains. Another Buddhist and yoga metaphor I like to share with clients during a yoga or meditation session, is comparing the mind to the crystal clear surface of a lake; if you stir up the sand at the bottom, the water will get murky and cloudy; likewise, the mind must be kept still and undisturbed of chaotic thoughts and false perceptions (through meditation) in order to attain and maintain true clarity. The whole premise of Buddhism and Yoga Psychology is to present us with powerful long-tested tools, or that perfect mix of ‘magic ingredients’ that will wash or dissolve all those ‘tablecloth stains,’ or keep ‘the sand’ from obscuring the clarity of our minds – bringing us back to our ORIGINAL state, before the stains set in. But without being able to acknowledge or recognize that we are in part responsible for those stains and clouded thinking, we cannot begin to do the real work. It is only through cleansing our minds and getting to know who we really are, behind our many masks or the multiple stains or layers of non-reality, that we can awaken to find our way from the darkness of ignorance into the light of self-awareness. In yoga, we use pranayama and kriyas (breathwork techniques) that act like the detergent on the stained tablecloth, cleaning and purifying everything away before we engage in meditation, which in and of itself is like the pressing iron that smoothes all the wrinkles away, leading us to the ultimate state of samadhi (union with the divine). This is where and when the real work begins – sitting in meditation or self-reflection – where the seeds toward transformation are sown. This is where and when ‘unreality’ begins to let itself be seen, as we begin to slowly peak behind the veils of maya and avidya; when the answers to our long-awaited questions or dilemmas suddenly begin to surface out of the depth of our consciousness. Deepak Chopra said that when we pray to God we ask him for answers, whereas in meditation he reaches out to us and gives us the answers. Buddha’s first sermon after his enlightenment or ‘awakening’ was on the Four Noble Truths, which if pursued and clearly understood can lead us all out of our ‘mental darkness’ and relinquish us from pain and suffering. The First Noble Truth is that we all suffer. The Second Noble Truth is the truth behind the suffering, or the cause. The Third Noble Truth is the truth of the end of suffering. The Forth Noble Truth is the path leading us out of suffering. The elemental truth which we are to arrive to via The Four Noble Truths, is the core revelation that we suffer because we live in a perpetual state of ignorance and denial, rather than being fully awake to what truly is. Through our erroneous judgements and perceptions we create our misery, self-induced pain, weaving a persona subjugated by the whims of a self-defeating, self-satisfying ego. The Fourth Noble Truth or path, is actually the ultimate and final doorway that leads us out of the darkness into the light. Thankfully, Buddha didn’t stop there. He gave us a precisely delineated path to follow, and called it The Eightfold Path, which Sage Pantajali, a contemporary yogi and follower of Buddha’s teachings adapted into The Eight Limbs of Yoga in the 6th Century AD, as part of his systematic approach to the practice of Raja Yoga, adding yoga asana (the physical practice of yoga, via the postures). What most people call yoga in the West is just a small fraction of the entire discipline and philosophy of Yoga, particularly Pantanjali’s Raja Yoga branch from which the most widely practiced form of yoga, Hatha Yoga, emerged. It’s like running a quarter mile rather than completing an entire marathon, and hoping to be awarded a medal. There are Eight Limbs of Yoga, not one. There are Eightfold Steps, not one. There are no short-cuts to be taken if we are to truly attain enlightenment and permanently free ourselves from suffering. How do we get there? We undertake this journey by studying OUR SELVES! That’s what yoga is. The yogis, following Buddha’s advanced teaching, prescribed one of the most advanced psychological techniques, which would ultimately lay the foundation for modern-day psychotherapy. It is called ‘svadhyaya,’ translated from Sanskrit as ‘self-study’ or self-analysis. It literally means studying our selves and our behavior, training to cultivate self-awareness and accountability for our physical, mental, and emotional states and actions. As mentioned, The Buddhist approach is outlined in The Eightfold Path, which directly influenced the yogic approach as authored by Sage Pantanjali. The yogic approach to attaining enlightenment through self-study and meditation differs slightly, only because yogis believed that in order to get through to the mind and tame its neurotic nature, before completing the entire Eight Limbs of Yoga, one must first conquer the limitations of the physical body through the practice of asana – Asana being the Third Limb of Yoga, which is preceded by the Yamas and Niyamas, the moral and physical rules of conduct towards self and others, which were directly influenced by contemporary Buddhist ethical mores. Yogis used the body as an instrument (via advanced breathing techniques, mudras, and asanas) to eventually conquer the mind, and as an initial point of self-mastery and self-awareness; if we can discipline the body first, we will then have a cleaner vehicle to work with and conquer the limitations of the mind, fine tuning our spiritual practice. Svadhyaya or self-analysis can then shine like a flashlight, lighting up our subconscious and illuminating those dormant parts of our consciousness that will ultimately shift into higher awareness, allowing us to finally see things as they really are. In the end, we are not the wounded, flawed, and imperfect individuals we act out to be, or falsely identify ourselves with. We are essentially walking through life dormant, until that moment when we realize that things are not right somehow, or something beckons us to look deeper within to find the answers to some hard questions. In order to understand the complex reasons behind our self-induced suffering, we ultimately must engage in the most advanced kind of psychotherapy – with Our Selves. Thankfully we have Buddhist Psychology and Yoga Psychology, long referred to as the original ‘Sciences of the Mind.’ It was inevitable that the fathers of modern psychotherapy, Sigmund Freud and Carl Jung, would use many of these previously pioneered psycho-analytical precepts as techniques to unlock and heal complex psychological issues. Jung’s breakthrough terminology of ‘the Shadow’ which refers to the hidden and repressed dimensions of the Self, encapsulates that which the yogis and the rishis have referred to for centuries as the ‘non-Self,’ afflicted by avidya, or ignorance of the true nature of things. It is this fragmented self, the Shadow or the Ego, that wants to emerge from behind its multiple false masks, from darkness into the light. It is not us, but our Ego which entraps us and perpetuates all suffering, forever craving and pursuing those things which only satisfy material and primal needs. I am convinced that if we choose to bravely pursue any of the paths carved out by our wise immortal teachers, we can can get to the other end of the tunnel. We can become once more that immaculate white tablecloth, that tabula rasa onto which we can write our own story. YOGA THERAPY ASSIGNMENT: Get a journal and write down the Four Noble Truths, and then try to turn each one into a question. Of course, first and foremost you must acknowledge the First Noble Truth – that you do indeed suffer or are emotionally wounded on some level. That will be your #1 Statement. Then question-answer the remaining Four Noble Truths: #2) What is the real truth behind my suffering; #3) How can I get to the end of my suffering; #4) What is the path I have to follow to get there? Then go back and elaborate on what might have been the root cause of your suffering, and set an intention on what you are willing to do to reclaim your true identity and life beyond suffering. Don’t harbor on the past or the suffering. Stay detached from identifying with any negative emotions. It is just ‘a story’ after all. Write down Four Noble Things About Yourself – things you know deep down about yourself to be good and lovable. You can ask others if you have difficulty with this. Lastly outline, the steps you will take – you can begin with 3 – each day or each week, to work towards shifting into a higher self-awareness and consciousness, manifesting a life filled with, peace, joy, and love of Self. Then wait and notice how the Universe will re-arrange itself to accommodate your new version of REALITY. MAY TRUTH, LOVE, AND CLARITY SHINE UPON YOU. NAMASTE. Categories: Uncategorized | Tags: avidya, B.K.S. Iyengar, breathing, Buddha's Eightfold Path, Buddhist philosophy, Buddhist Psychology, Carl Jung, Claudia Ghetu, consciousness, Eight Limbs of Yoga, emotional wounds, fragmented self, Hatha Yoga, ignorance, kriyas, life beyond suffering, love of self, manifesting a life filled with joy, maya, meditation, mental clarity non-reality, mental darkness, original state, Pantanjali, Path to Enlightenment, pranayama, psychotherapy, Raja Yoga, Richard Brown, Sciences of the Mind, self-analysis, Self-Awareness, self-study, shifting into higher self, Sigmund Freud, Spiritual Transformation, svadhyaya, The Ego, The Four Noble Truths, The Healing Power of Breath, the path of suffering, the psyche, The Shadow, The Universe, Yoga Asana, Yoga psychology | Permalink.